After IJOY introduced a Pen Style Kit last time, IJOY now brings us another brand new Pen Style Kit. It is the SABER 100 KIT. It has the same DIAMOND Tank as the WAND. But the biggest difference is that you need 20700 batteries to power the SABER 100 KIT. Of course, it also matches an 18650 battery adapter, which is a good news for vaper who have been using 18650 batteries. IJOY's super chip let us once again get 100W super output on the Pen Style Kit. When it comes to Pen Style Kit, we usually think of a zero-interactive product. On SABER 100 kit, this statement was broken. 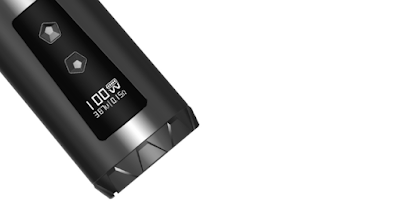 The maximum output of 100W allows us to freely adjust the desired output power in this range. So under IJOY's recommended power, we will find the best output value easily, and let DM-Mesh Coi and DM-DM Coil get the best performance. Of course, you are free to replace the vape atomizer or coils you want, but the coil's resistance must be in the range of 0.05 to 3 ohms. In this test, I was really satisfied with the WAND's fire button. There was no delay in the response. And this product did not disappoint me in vapor performance and flavor quality. 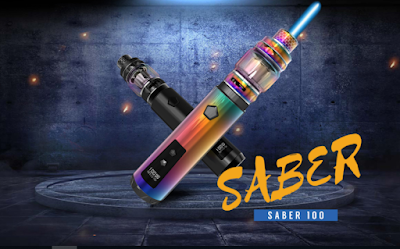 Although we can find many pen style vape kits with the same capabilities on the market, I don't think there is a power like SABER 100. It is not the most portable but it is truly unique. And it has so many cool colors to choose from. What are you hesitating? You want it !